This 4th of July--Experience the Freedom of Flying a Plane! Ever wonder what it is like to fly like a bird--free to fly the skies anywhere your heart desires? This 4th of July, Miamifly.com is offering a special for anyone or group of three (including families) to fly the Miami skies. Whether you want to learn to fly or enjoy an aerial tour of America's Riviera, for a full 30 minutes at only $80, you can make that dream a reality! Is half an hour too short for your adventure -filled veins? No problem--take it for an hour for only $130! You can pilot or co-pilot the plane as the instructor is always with you. Bring the family and make it a group adventure! Plan your Flight for this 4th of July weekend or buy a gift certificate before Sunday, July 5th for a future date to lock in this special deal! 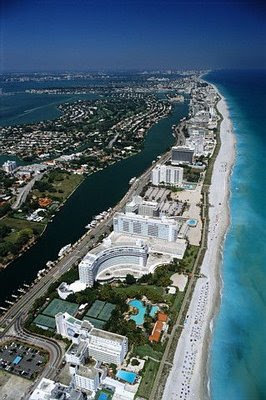 Visit Miami Fly now and call 305-255-5519.